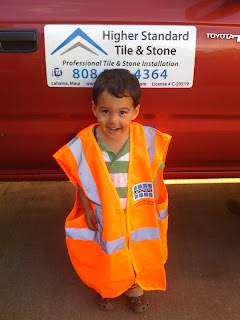 "Got the vest yesterday. Thanks! My 3 yr. old son thinks it is a present for him. He will grow into it. He was playing outside in the dirt, hence the dirty face. I think he will be a good mud man when he grows up." Seven Wonders of the World ...?